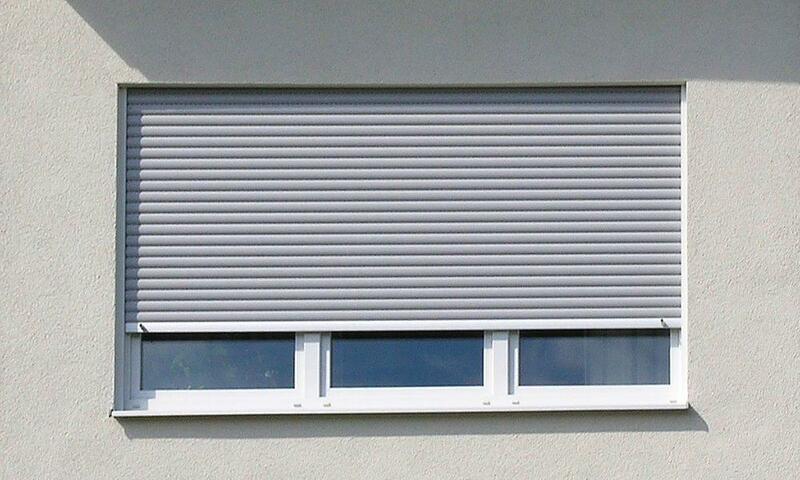 Window roller shutters are very useful window elements existing in built-in or built-on version. Both systems offer a lot of equipment options and colouring possibilities. Under specification of the required measurements and technical aspects (such as electrical control) as well as further equipment, we are very pleased to be able to design your very own customized windows with individual roller shutters, not only to offer a maximum burglary protection to your home, but also to keep your living space private and sun-protected. Of course, all windows and roller shutters come with a seal of quality. Built-in roller shutters are built into the front of the building above the window and are therefore completely integrated into the masonry and are not so visible. They are particularly suitable for the new build but also for renovation projects in older buildings protect from unwanted intrusion – both by passers-by looking in and from potential burglars. Built-on roller shutters are built onto the front of the building over the window meaning that they are also ideal for later conversion of existing construction elements. Built on roller shutters are therefore perfect for renovation projects but are also popular in new builds. Roller shutters have many advantages. They help to save energy and to reduce heat loss. Additionally, they serve as a protection both against looking in and keeping the weather out. Finally they also help to protect the home from being broken into. 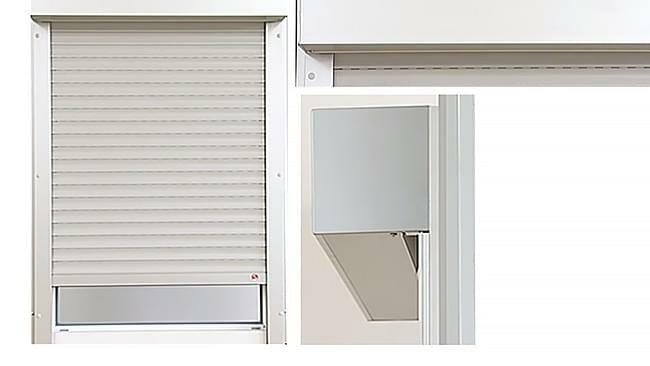 Roller shutters assist in saving energy and when closed they prevent the escape of warmth from the inside by up to 20 %. Noise reduction, too, is a useful function of the shutter. When lowered the shutter muffles the unwelcome sounds from outside helping to increase the feeling of well being within. Roller shutters offer protection from the curiosity of passers-by while also providing additional security to the home by making it much more difficult for unwanted guests to gain access to the house through the window. Roller shutters are the perfect companion for any window and can enhance their features. Shutters fitted with an integrated insect screen improve home comforts considerably, as the screen can be lowered as and when required and thus keep out any unwanted insects draußen bleiben. These highly practical blinds thus have more than one purpose. Having a stable shutter curtain of aluminium or uPVC they provide the house with very effective protection against burglary. When and if required roller shutters offer shade and fitted with the appropriate accessories can also keep irritating insects at bay. Prying eyes from the street are kept away just as much as the visit of unwanted guests. Whether the sash and frame of the window to be protected is of timber, aluminium or uPVC, this makes no difference to the high quality roller shutters supplied by Windows24.com. Regardless whether built on or built in roller shutters, the days of the swinging wooden shutters is long gone. 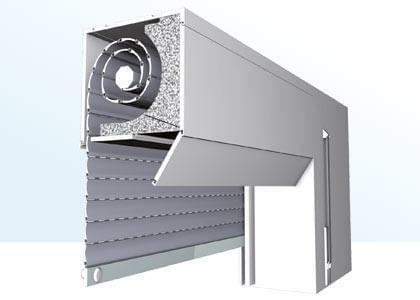 Roller shutters serve as thermal insulation and save on heating bills. Opening and closing of the shutter using a belt mechanism is carried out by hand, as is the practical operation using a crank. Whereas the belt roller functions using a mechanical pulley system, the crank handle system relies on a rotary action. The shutter then rolls itself around the system built into the cassette box or is unwound to lower out of the shutter box. 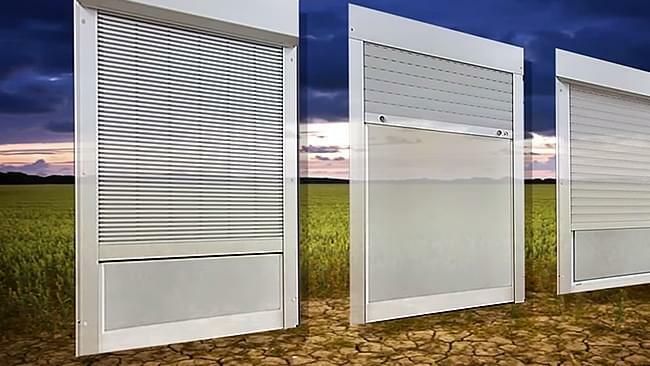 Electrically controlled roller shutters also wind the shutter in the same way; however, this version is far more comfortable to operate than the conventional and traditional hand operation. At the press of a button, electrically operated window roller shutters open and close and today it is possible to carry this out using radio controlled models. In these, efficient safety features have been incorporated in order to protect the window as well as the built on or built in roller shutters. Hence the motors of the shutter units have been equipped with an electronic end switch which detects when the opening or the closing process has finished and cuts the motor of automatically. Additionally, obstacle recognition is built in as standard into the motor system. 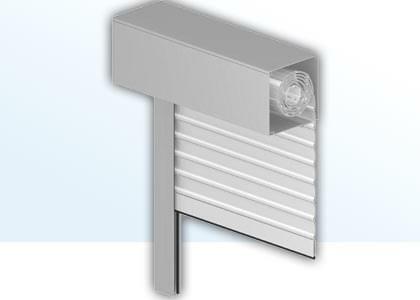 If this detects any obstacle between the window and the shutter curtain, then the intelligent controller will signal the shutter to stop. As well as roller shutters Windows24.com also offers a wide range of products in the windows and doors sector. From uPVC windows through house doors in various different models and to modern composite timber with aluminium windows, you will find everything you need here. Using the practical configurator the different products and model can be ordered with individually chosen features. A few simple clicks mean that colour, size and required accessories for windows and doors can be added to your shopping list. These are then clearly displayed at the side of the page and show the current list of products selected including their prices. Window assembly on site can be carried out with the aid of our video instructions, or you can hire a professional window fitter. The same is true for built on or built in roller shutters.